The 250 bed hospital includes pediatric, male and female medical and surgical wards and maternity, leprosy and tuberculosis units. After hours, outpatient clinics and waiting areas serve as classrooms for a variety of programs designed to improve health, nutrition, and hygiene in the area. 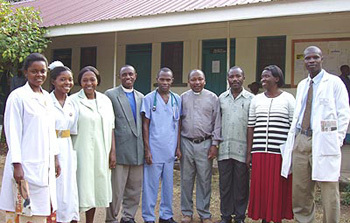 The hospital compound is 35 acres and includes the hospital, a nursing and midwifery school, a chapel, a nursery and primary school for the children of the staff and the adjacent neighborhood and staff housing. The compound has it's own clean water supply.